Oppo R17 Pro offers at Flipkart/Amazon: Oppo India has been launched Oppo R17 pro in India on 4th December. Oppo R17 pro price in India is Rs.45990. Oppo R17 pro comes in India as a flagship device which offers great design, powerful Snapdragon 710 processor, 8GBRAM, 128GB Internal storage, 6.4" Super amoled display, In-display fingerprint sensor, 12MP + 20MP + TOF 3D stereo triple camera setup on the back and 25MP front camera on front, 3700mah battery with VOOC fast charging support and more. Oppo has started to present some fine smartphones lately, after their biggest flagship innovation, Oppo Find X, and now its Oppo R17 Pro, which is somewhat a premium smartphone with some great specs. Oppo R17 Pro launch date in India is December 4, and is up for pre-orders on Oppo India website. Oppo R17 Pro offers a stunning water-drop notch display and Super VOOC flash charge support. Other Oppo R17 Pro specs includes an octa-core Qualcomm Snapdragon 710 chipset along with Adreno 616 GPU, a 6.4-inch FHD+ Full View display with Corning Gorilla Glass 6 protection, a 3700 mAh battery, enormous 8GB of RAM, 128GB inbuilt storage, a hybrid slot which supports a microSD card of up to 256GB. Oppo R17 Pro offers a triple rear camera setup with 12MP, 20MP and a TOF 3D Stereo camera sensors, and a single 25MP AI selfie camera. The smartphone unlocks using the under-display fingerprint sensor and even supports facial recognition. As the smartphone will be an Amazon exclusive, there are no available Oppo R17 Pro Flipkart offers as such. 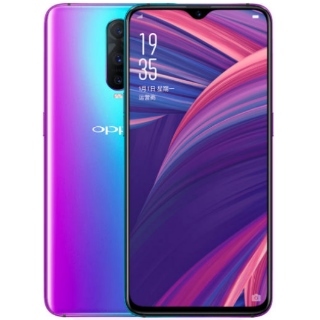 Here, you’ll get all the available Oppo R17 Pro Amazon offers, along with the newest and effective Oppo R17 Pro sale offers, which you can make use of. What is Oppo R17 Launch Date in India? As already mentioned, the Oppo R17 Pro launch date in India has been set for December 4 and the smartphone is available for pre-orders on Oppo India website. The smartphone will be up for sale on Amazon.in from December 4, which is also considered Oppo R17 Pro release date in India. The Qualcomm Snapdragon 710 processor in #OPPOR17Pro holds the power that helps you multitask through all your favourite apps smoothly. Experience stealth security with the Hidden Fingerprint Unlock in #OPPOR17Pro. Oppo R17 Pro will retail on Amazon with two styles - ‘with offer’ and ‘without offer’. The smartphone can be all yours at a lower price if you choose the ‘without offer’ style, or it’ll cost you some more bucks under the ‘with offer’ style alongside additional benefits listed below for Oppo R17 Pro buy options. Exchange offer from Appario Retail Pvt. Ltd.
No Cost EMI options available on Bajaj Finserv EMI card, Axis Bank and HDFC Bank Debit cards, and all major credit cards. Make use of the above offers to get effective Oppo R17 Pro discounts. There will be some Oppo R17 Pro pre-order offers on the Oppo India website too, as the smartphone is already up for pre-orders from December 1. OPPO R17 Pro review: The world's fastest charging phone. Does Oppo R17 Pro come with a notch display? Yes, it comes with a water-drop notch display. Does Oppo R17 Pro support dual 4G SIM? Yes, Oppo R17 Pro supports 4G with VoLTE on both SIM cards. Is the second SIM slot of Oppo R17 Pro hybrid? Yes, Oppo R17 Pro has a hybrid slot for second SIM or microSD card. Does Oppo R17 Pro have AI face unlocking feature? Yes, Oppo R17 Pro comes with AI face unlocking feature. Does Oppo R17 Pro have a fingerprint sensor? Yes, Oppo R17 Pro comes with an in-display fingerprint sensor.